Perfect for fans of Michael Avon Oeming (Powers, THE MICE TEMPLAR), OEMNIBUS trade paperback, by Michael Avon Oeming, Neil Vokes, Bryan J.L. Glass, Daniel Berman, and Ethan Beavers, is slated to hit stores this August. Collecting seven one-shots and short stories published by Image Comics over the past 15 years, OEMNIBUS includes out-of-print and rarely-seen stories by Powers co-creator Michael Avon Oeming. 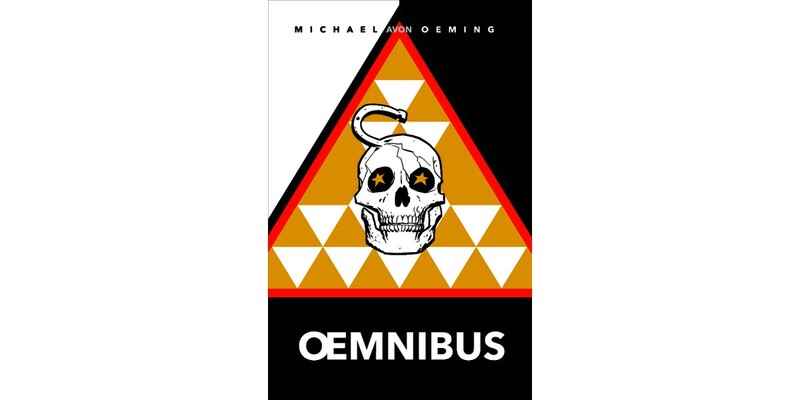 OEMNIBUS collects such stories as: 86 VOLTZ, PARLIAMENT OF JUSTICE, GOD COMPLEX, SIX, and more. OEMNIBUS (ISBN: 978-1632154811) hits comic book stores on August 5th and bookstores on August 18th, and will be available for $24.99. It can be ordered by retailers from Diamond Book Distributors with Diamond Code JUN150509.